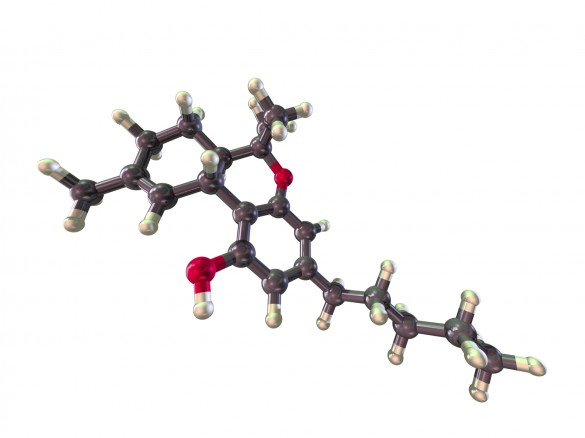 The active component of marijuana, Δ9-tetrahydrocannabinol (THC), competitively inhibits the enzyme acetylcholinesterase (AChE) as well as prevents AChE-induced amyloid β-peptide (Aβ) aggregation, the key pathological marker of Alzheimer’s disease. Computational modeling of the THC−AChE interaction revealed THC binds in the peripheral anionic site of AChE, the critical region involved in amyloidgenesis. Compared to currently approved drugs prescribed for the treatment of Alzheimer’s disease, THC is a considerably superior inhibitor of Aβ aggregation, and this study provides a previously unrecognized molecular mechanism through which cannabinoid molecules may directly impact the progression of this debilitating disease (M. Eubanks, Lisa, and Claude J. Rogers). Receptor- heteromer mediated regulation of endocannabinoid signaling in activated microglia. Role of CB1 and CB2 receptors and relevance for Alzheimer’s Disease and levodopa- induced dyskinesia. 2-Arachidonoylglycerol metabolism is differently modulated by oligomeric and fibrillar conformations of amyloid beta in synaptic terminals.